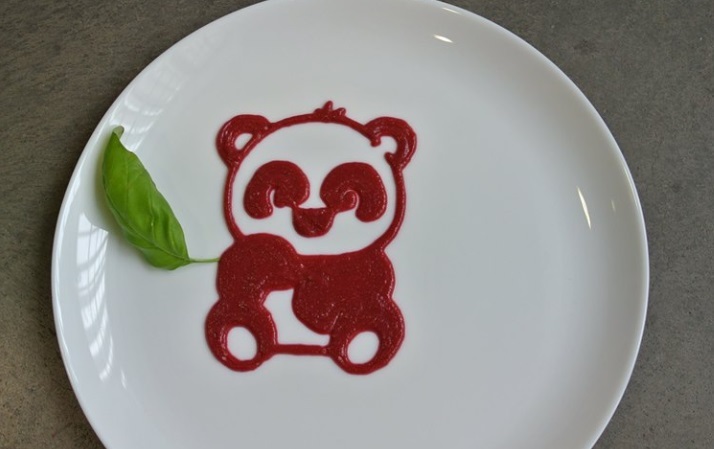 Natural Machines launch product is a 3D food printer. We call it Foodini. We are using an open capsule model, meaning the consumer prepares and places fresh ingredients in Foodini. Natural Machines is going to make preparing food healthier, easier, and so much fun. Foodini is the first 3D printer to print all types of real, fresh, nutritious foods, from savory to sweet. It uses fresh, real ingredients, making the Foodini the first 3D food printer kitchen appliance to contribute to a healthy eating lifestyle. Tell us about Natural Machines. What inspired the idea and what is your vision for the company? We are creating a new generation kitchen appliance, a 3D food printer. We call it Foodini. It’s the world’s first 3D food printer making savory and sweet foods, using fresh, real ingredients. Fundamentally, Foodini contributes to a healthy eating lifestyle by helping people make fresh meals and snacks. We are certainly not proposing that every food you eat needs to be 3D printed, just like every food you eat now doesn't come out of an oven. But think about foods that if you were to make by hand would require food shaping, or forming, or repetitive food assembly tasks, or layering... enter Foodini. From shaping pretzels, to forming gnocchi, to repetitively making crackers, to layering ravioli.... Foodini can definitely speed up the process of making food with fresh ingredients. Our inspiration for Foodini came from our love of technology and personal views about eating healthy. We hope that Foodini will encourage more people to eat healthier, fresher foods, and rely much less on processed foods. What strategic partnerships have you implemented that have attributed to Natural Machines's success? First and foremost, we found a major manufacturer to work with us and produce Foodini at the start of the company. This has sped up our development cycle and will ensure that Foodini can indeed be manufactured and will be a high quality appliance. We also have strong links with several leading universities, research grant agencies, technological R&D centers, and food hubs that are linked to universities, chefs, and food startups. They are working hand-in-hand with us on several projects related to our business. Unfortunately, we cannot tell you about our other strategic partnerships, as they haven’t yet been announced publicly. Stay tuned! People want to customize and tailor meals and snacks to their own personal tastes. Since Foodini ships with empty food capsules, the amount of ingredients that can be printed is unlimited, and people can customize foods to their own tastes and needs. Consumers are also showing a high interest in how food is made. With Foodini, people prepare fresh ingredients to put in the 3D food printer so you know exactly what goes into your food. By using Foodini, people can rely much less on packaged, processed food, a lot of which are loaded with additives, preservatives, chemical sounding ingredient names, and too much SOS (salt, oil, sugar). People want to know where their food comes from, trending towards buying local and using foods that are low in food miles (the distance in which a food item is transported from producer to consumer.) Processed foods by nature tend to have a lot of food miles, starting from the sourcing of ingredients and depending on the number of distribution points. With a 3D food printer, people can easily make things that they might normally buy packaged, using fresh ingredients that could be sourced locally, thus increasing consumption of locally grown food and lowering food miles that go into meals. You don’t regret things you do, but things you don’t do... So do things. This is real food... 3D printed. 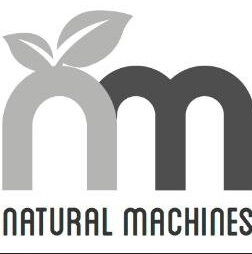 Your greatest success as founder of Natural Machines? Most difficult moment-how did you overcome and what did you learn? My greatest success as a founder is seeing the high amount of interest we are receiving for 3D food printing and proving that there is indeed a market for it. This isn’t always easy, especially when we’re developing a new type of kitchen appliance that happens to be a 3D food printer. It’s a concept that deals with food, which is a sensitive and personal topic to a lot of people. We understand and expect the wide variety of opinions that are shared about Foodini, but some of opinions that are shared with us aren’t supportive, and it can be quite difficult to receive comments that trend towards “bashing”. The key to overcoming this is not to take it personally, and to engage people in a dialogue so you can learn from it. Why are they bashing you? It’s usually because those people don’t understand exactly what you’re doing, so it’s a chance to educate them and to improve your messaging. Take it as a learning experience and free market research. The best part? When you get that smiley face icon at the end of the dialogue, knowing that you successfully got your message across and neutralized the situation. And you probably also improved your messaging. Win-win! It’s been said before, but it’s very true... you have to have passion and believe in your idea. Being an entrepreneur is a 24x7 job. To do that successfully, you have to love what you’re doing and passionately believe in it. If you're not passionate about your idea, you haven't found the right idea yet. Keep searching. I love visiting new places that I haven’t been to before. One of the top places I want to go to, but haven’t managed to make it yet: the Maldives. All literature next to my bed is in digital format in my e-reader. :-) I’m currently reading an advanced copy of a forthcoming book by Alex Lightman called Food Security via Clean Energy. I’m also reading a book about using stories in parenting techniques... telling stories is useful in so many aspects of life. No one person in specific, but I’m a big fan of nice people that think about longer-term consequences. Example: there are a lot of politicians and business people out there that think about making money, but not thinking (or perhaps more accurately) not caring about the later damage it will do to the environment or future generations. Not cool. You can still make money and positively affect longer-term outcomes... it’s not a one-or-the-other decision. Healthy eating. There are a lot of diseases in the world, and eating right is one of the things that I can do proactively to help keep myself healthy. People have different ideas of what exactly defines eating healthy. For me, it’s eating whole foods, plant strong, and really limiting processed foods. That’s one of the reasons I’m so excited to bring Foodini to market. “New York bans fracking over significant health risks". What's next for Natural Machines? Foodini will be ready in 2015. We are looking forward to helping people make fresh foods, and relying a lot less on processed food!